Sky High Tree Removal | Cascade e-Commerce Solutions, Inc. The pre-existing website had less than three pages and did not provide sufficient information for prospective customers to easily decide to engage the business. CeSI performed in-depth keyword research, drafted content for the website, built a new responsive design WordPress website that includes text, photos and video that provides key information, helps persuade new customers and makes it easy for prospective customers to request an appointment. CeSI continues to support the business with ongoing search engine optimization. More prospective customers are contacting the business requesting appointments. 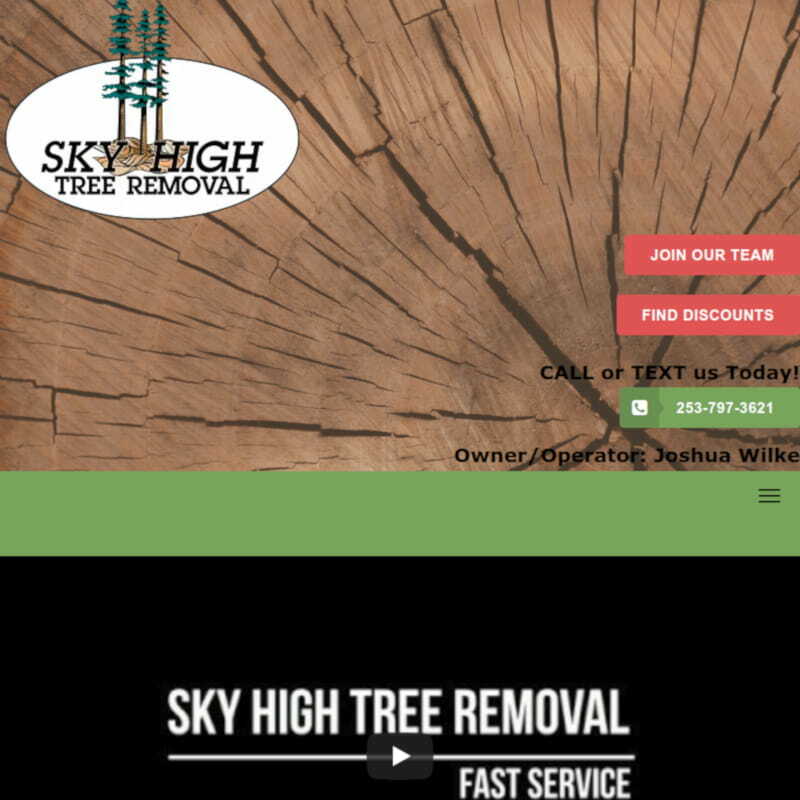 Since last year Sky High Tree Removal's website has grown to five times as many monthly visitors.